PSA: Major LEGO MINDSTORMS Software Update! If you have launched EV3-G recently, you probably discovered that there is a new update! LEGO has released version 1.2.2 to address the “VM Program Instruction Break” bug. Be sure to update your software to the latest version. The bug did not affect the firmware on your EV3, just the compiler in EV3-G. 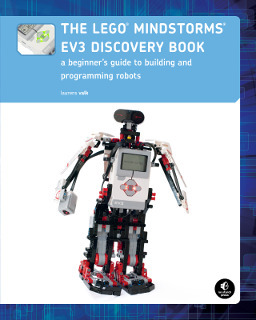 The Seshan Brothers, over at EV3Lessons.com, have an excellent overview of the bug. 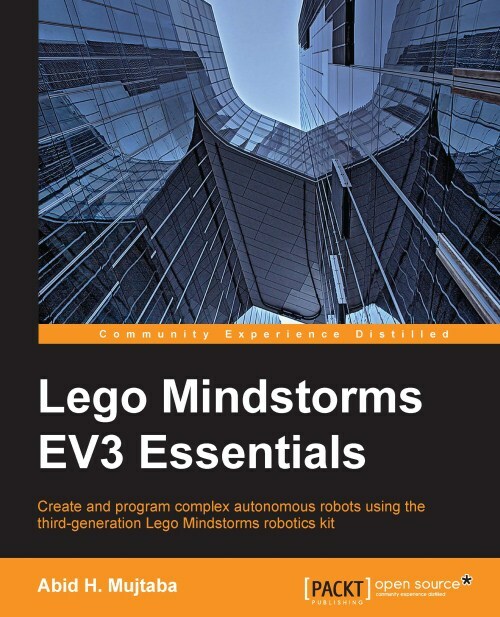 You can download the latest versions of the LEGO MINDSTORMS programming software here! LEGO was all over World Maker Faire! Besides FIRST LEGO League, LEGO was a common sight. LEGO provides a flexible building platform and Makers love LEGO. While it might not ship in a final project, the iconic, modular bricks provides an unmatched ease of use for prototyping. This has been one of my favorite posts to write, showing off all the awesome creations of the community! Follow me after the break to check out more of the LEGO sights of World Maker Faire 2016! 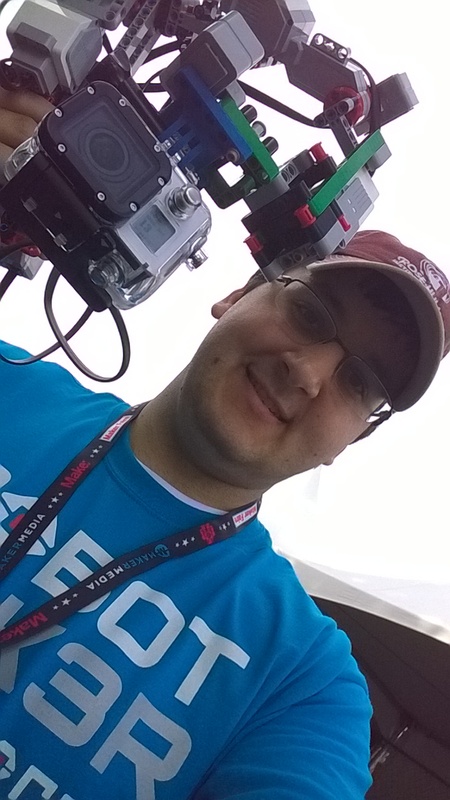 Remember that LEGO GoPro Gyro Stabilizer I showed in my Make Faires post? If not, check out the picture below! Now you can 3D print that same GoPro to Technic Mount! I have posted it on Thingiverse. Go Check it out! All you need is 1 EV3, 3 Gyros, 3 Motors and an afternoon to make your own! Have fun! It is no secret that I bring LEGO robots all over the country. When I travel I usually bring a stock of EV3 flyers and stickers. What is a secret is that I used to spend countless hours putting a sheet of stickers in each flyer booklet. With EV3, I thought I might go about optimizing this process. 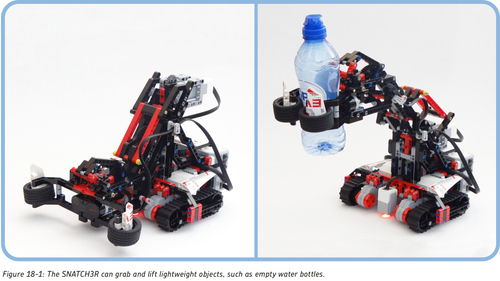 FLY3R is a LEGO MINDSTORMS EV3 bot that will put a sheet of stickers into a flyer booklet. The robot is simple: walk up, press button, receive flyer + stickers. Check out the video to see it in action! The icing on the cake is that this entire bot can be constructed out of a single EV3 retail kit. Call it a “one kit wonder”! Over the next few days I will be working on some building instructions as I have a few people already asking to build the bot. The code is posted on the Downloads page of my blog. You can open it with the EV3 retail software. If you’re interested in building the bot, be sure to leave a comment below so you get notification of when the instructions are posted. Some of you who follow me on YouTube might have already seen this (as it has been there since April 15th), but I am just getting around to post this now. I know my blog attracts a lot of LEGO fans, Makers, and engineers. And most of us in those communities have heard of Atari. (Some of us even have games by them or one of their consoles!) I wanted to do a new EV3 project that was a throwback to the Atari days, yet still something kids today might recognize. Enter Lunar Lander. This classic arcade game remains popular today due to ports on cell phones and even TI calculators! So what better way then to user in EV3 than with a modern take on a retro game? Lunar Land3r brings the video game into the real world. There are a few different settings, but you control the lunar module and have to land it before you run out of fuel. Sounds easy enough, right? Check out the video from the premier of this game at the Southern Maine Gearbots. It also ventured with me to the FIRST Would Championship. It already has a few hours with crowds and both old and young like it! On April 6th, I premiered a new bot at the Southern Maine Gearbots District Meet! Lunar Land3r, is a new EV3 take a retro video game. Here is a quick (3 second) timelapse of setting up the bot shot on my new GoPro. The full video will be coming soon. Stay tuned!